Finally some exciting news on the TimeSnapper front. For a long time, the most requested feature for TimeSnapper has been a whole new version, for the Mac OS. 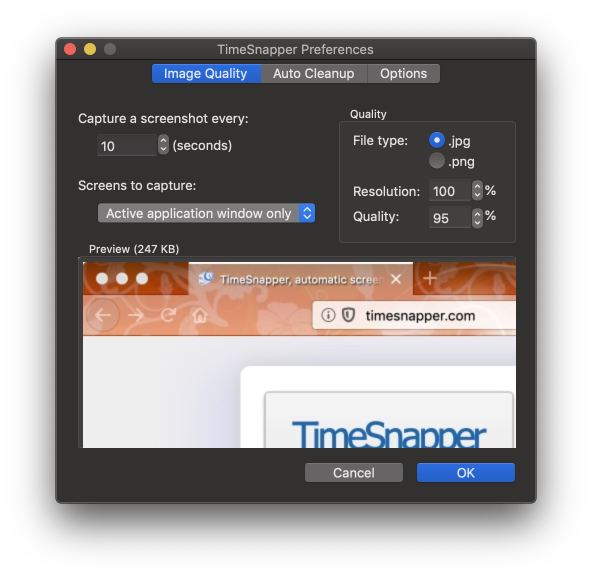 Many of our customers and friends have moved from Windows to Mac over the last decade, and consistently told us that they miss the peace of mind and assistance that TimeSnapper provides. 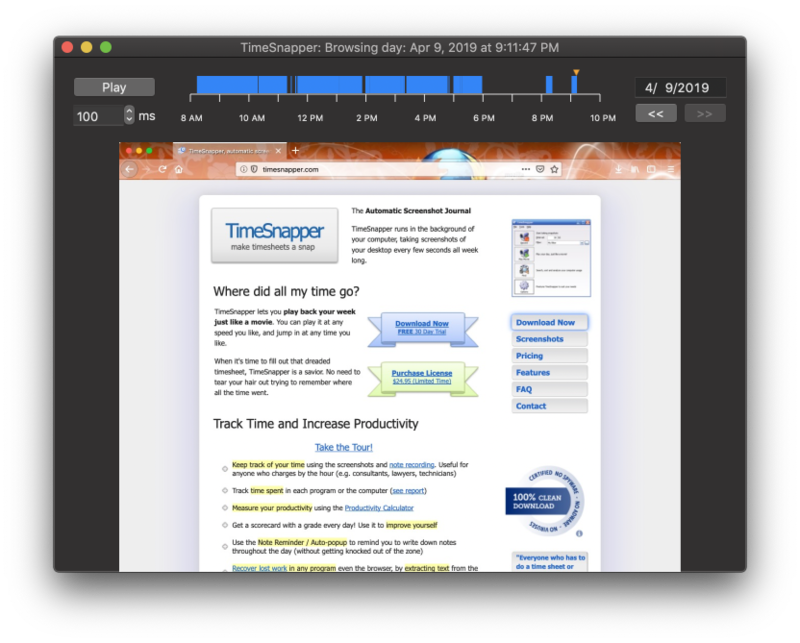 One such customer, Jon Schneider was so tired of the situation that he built a new version of TimeSnapper, from the ground up, for the Mac OS. He is now part of the TimeSnapper team (along with Atli and I) and we're now ready -- with your help -- to welcome beta testers: people who are willing to run this software and give us feedback, suggestions and error reports about their experience. A quick recap: TimeSnapper is a piece of software you can run in the background of your computer. It takes screenshots of your desktop every few seconds all week long. You can use it to recover text you've lost when (for example) your browser crashes, or you can use it to help fill out a timesheet, or just to gain an objective answer to the question "Where did my time go?" It's clever about the way it uses resources, so it doesn't fill up your hard drive or slow your computer. Huge thanks to you for considering coming along on this journey, and a biiiiiiiiiig thank you to Jon for stepping up and getting us here. But after the wall of gobbledygook that preceded it, it's easily overlooked. yarn start #   Starts the development server. yarn build #   Bundles the app into static files for production. yarn test  #   Starts the test runner. 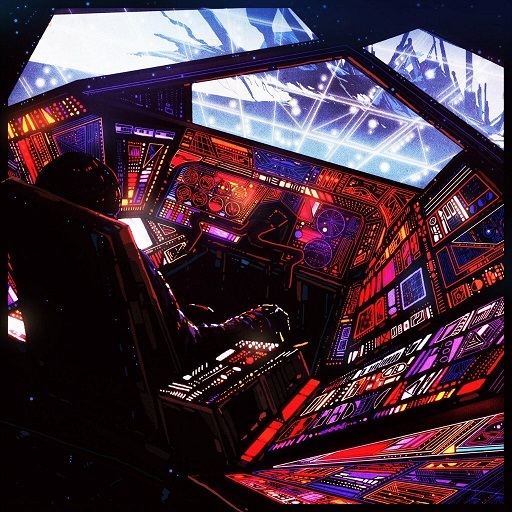 ...Then you'd immediately be able to find the commands again, and run them with a simple "ok 1", or "ok 2" or "ok 3"
But instead: those commands, sailing by in the infinite neon-scroll of the console, will be lost in time like tears in rain. Here's an example of the scrappy, useful sort of way I use an ok folder profile to help me get things done. j is an alias for jump which is part of my markjump.ps1 system for navigating around. "ev" is the first two letters of the bookmark i've got for this location, so markjump "jumps" me into the ~\evergreenskillsdotcom folder. Inside that folder, if I type "ok" I see a list of all the actions that are easy to run. This rag-tag bunch of commands acts as a kind of "control room" for all the different work-fronts of the book. Even a simple project like this one has an evolving set of different urls and commands and activities. Maintaining a little .ok file is the simplest way I've got to keep track of them. Unlike a documentation site it contains "executable" commands. And since I use powershell for all navigation and automatically run ok everytime I enter a folder, it's always in front of my eyes, and doesn't "rot" the way documentation does. Project Kick Off for $1780! Project Kick Off for $1780, so make sure it's worth it! And, although it was not an original idea, I saw a few people in agreement. In the past I've seen some "passive-aggressive" tools that perform a similar calculation, giving attendees a calculator to continuously measure their mounting frustration: but I think my idea is more straight-forward "aggressive-aggressive". Initially it would be hampered by people feeling defensive, but once the underlying truth has been internalized people can (I believe) move forward and be both: less wasteful and more productive. As always, I reserve the right to change my mind in the morning. This is an amazing, remarkable and wonderful effect we have been using at work to achieve things all by ourselves that we couldn't achieve in five lifetimes if we had to achieve things all by ourselves. If that sounds confusing, it is. The visitor effect is a little like "rubber duck debugging". We've noticed at work that there are some corners in our code or some processes, that only one person is fully "across". One person wrote it, maintains it, and takes care of it. No one else ever needs to worry about it and frankly, no one else would want to. These are bad things because the "lottery count" is 1. The "lottery count" is exactly like the "under the bus" count, but not quite as grim; I'll describe the latter, then the former. The "under the bus" count on a project asks "how many people would need to be hit by a bus, before all crucial project knowledge would be lost?" and is often phrased like this: "But what if Rupert* is hit by a bus!?" 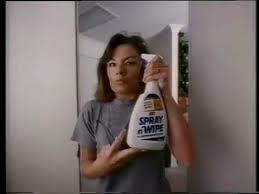 to which Ingrid responds, "Then you can be certain I'll need an alibi." 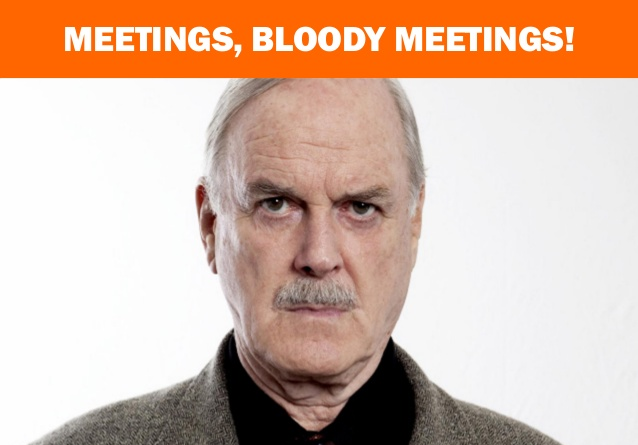 Because all this casual discussion of death and mayhem is a bit distasteful, particularly for Rupert, it's better to say "But what if Rupert wins the lottery and doesn't come back to work on Monday?" The lottery count, then, is a more generalizable mathematical treatise, resembling a knapsack problem that ponders, which minimal spanning subsets of workers are barred from forming lottery syndicates to avoid major risk to the project? But I digress. "Hmm, Rupert is the only person who understands the SCLABE System. We'd better ask for someone else to work on it with him." Ingrid volunteers. But we give Rupert some time to prepare. "In three weeks time, Ingrid will look after the SCLABE System for a few days." Rupert experiences a brief panic then launches into a flurry of activity, tidying up and improving the system in anticipation of Ingrid's scornful gaze. Rupert looks at his code with fresh eyes. "What is this doing here? Why is this so broken? How come this thing is still scattered over seven classes? Why is this coupled to that? What's with these warnings? Why is that test commented out? Why isn't that TODO: done?" and so on. Two weeks later Ingrid finds she hasn't got time to take over from the SCLABE System. But already it's running at 300% efficiency over its old performance. This is the visitor effect. * Rupert, Ingrid, and SCLABE are characters introduced by Simon Harriyott in What?! Rupert can't leave! He's the only one who knows the SCLABE system!. Simon's disclaimer, which applies equally well here reads: "SCLABE is a fictional legacy system written in COBOL on an AS/400. Rupert is a fictional developer, whose resemblance to anyone you know is the whole point of this exercise." Being productive in 2018 was again a challenge. If you produced nothing, but managed to survive: good for you! Here's a summary of things I shipped. Numbers in parens, e.g. "(3,2)", are the figures from last year and the year before. Modest amount of work completed on Evergreen Skills for Software Developers but much kudos to Joseph Cooney who worked very hard on this forthcoming book. Big shout out to Doeke Zanstra (see also) for his excellent work on ok-bash. 0 talks delivered (1,1) phew. 1000s of tweets screamed into the void. You want to stay relevant for the next 10 years? Well, let's see what 2019 is all about. How many of these capitilization styles can you name? I'll give you a clue, the first one is "UPPERCASE"
Take your time. Look through them carefully. One at a time, out loud, say what each of them is called. Good old PascalCase... words are smashed together, with the first word capitalized. PascalCase's close relative, camelCase... words are smashed together, with the first word not-capitalized. Sentence case... all words lowercase, but the first letter capitalized. Snake case: underscores as word separators. Combine snake_case with UPPERCASE and you get C_CONSTANT_CASE. This is kebab-case, great for URL fragments, it's lowercase with each word separated by a hyphen. This is Train-Case, the slightly shouty cousin of kebab-case. You might have to pay attention to spot that this is vOwEl cAsE - where vowels are sent to UPPERCASE. Here's a NimbleText pattern that demonstrates all of the above. This example lets you play with all the different casing styles and generate your own in a snap! Thanks to Doeke Zanstra for the idea of vOwEl cAsE. * For a more nuanced take on Title Case (for professional writers) try the title case converter tool, which can apply complex house styles, like Chicago, APA. The first part of the diagram is a perfect description of NimbleText: given some data and a pattern (the 'rules') it produces an answer. How hard could it be to turn it around? Could I make it act like the second part of the diagram?... given some data and a single example of an answer, can I make it produce the rules (the pattern) to produces this answer? Soon after, I had a satisfactory result and NimbleText can now act like the second part of the diagram. If you leave the "pattern" textbox blank, but insert an example result in the result textbox and hit "calculate" it will deduce the pattern. In other words, you can use an example to deduce the required pattern. It's cleverer than that though. NimbleText also deduces any functions that are needed. ...without you ever having to waste your finger's precious few remaining keystrokes typing out (or remembering) all those nasty function names. It can deduce quite a few other functions as well. Let me know about any bugs via a comment, or via email to support at nimbletext.com. cheers! ...and it reminded me to blog about what I learned from the book "Thanks for the Feedback" by the authors of "Difficult conversations" (Douglas Stone and Sheila Heen). When someone says "I'd like some feedback" there are several different things they might mean. "I'd like to be evaluated." And, if someone says "I have some feedback for you" they might mean to provide any one of those three distinct things. That feeling, by the way, is the blood draining from your face. And it's in part because you're not sure what sort of feedback they're about to hit you with. If my daughter has just played trumpet in front of 300 people and she says "How did I go?" it's not the time for coaching or evaluating: it's good old appreciation and encouragement. This applies even if, in addition to being a mum or dad, you are a world class trumpet player. When you've applied for a job and you've heard nothing, you write and ask for feedback. You might be chasing type 3: "Did I get the job?" If they respond with "Your choice of shirt was excellent," (a weak type 1), you're not completely satisfied. Other times, it's less clear. So before replying with feedback, the magic trick is to ask the person what sort of feedback they want. As I said, the book goes a lot further. It digs deep into the psychology of feedback, the overlap between different types, the way different people respond to different stimuli ("baseline", "swing", "sustain", "recovery," oh my!) and much more. Feedback is a crucial part of life in civilization. I found it a worthy book. Sometimes you need to expand your mind and find more ideas: Divergence. Sometimes you need to focus, cut scope, and ship it: Convergence. Understanding these two modes of thoughts, and switching to the right one at the right time, is a vital skill. 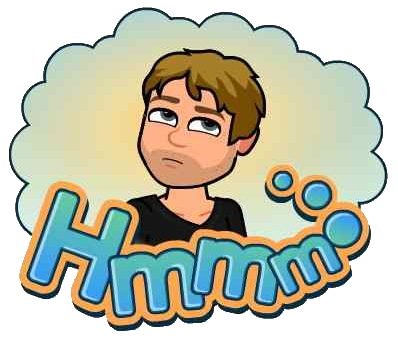 "Thinking exercises" are often divergent; they help you find more ideas. Brainstorming exercises; Lateral thinking exercises; Idea generation; Surveys to gather data; Seeking feedback. These all increase the possibilities. They are divergent. This quote attributed to Antoine de Saint-Exupery, "Perfection is achieved, not when there is nothing more to add, but when there is nothing left to take away," is about convergence. Chasing down leads, library research, finding and following references: these are divergent. Considering is divergent. Choosing is convergent. Scope creep is divergent. Bug fixing is convergent. Explorers are divergent. Settlers are convergent. ...has time for divergences, but not for convergence. When you've decided what color to paint the bikeshed, you have converged. When Darryl chips in with info about three more colors he quite likes, he's being divergent. "We're re-imagining the boundaries of the enterprise, because our CEO read an article in Time magazine on the flight back from Helsinki" is too divergent. "It's just the way we've always done things" is too convergent. Steve Jobs was convergent, "Get rid of the crappy stuff", "More wood behind fewer arrows", he never saw a feature he didn't want to remove. But he would harness divergence: harnessing divergence is the goal of the divergent/convergent dichotomy. 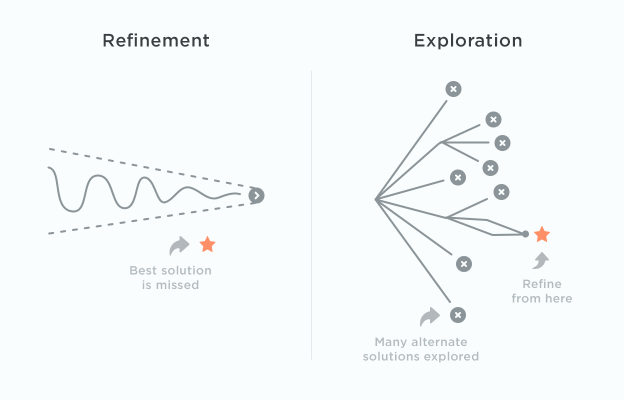 Separate teams would work in parallel on their own prototypes and implementations: divergence. Then they'd bring all the results together and kill off the crappy ideas: convergence. Ted Nelson (inventor of hypertext) is divergent. "The Laws of Subtraction" are convergent. Inspiration is divergent. Taste is convergent. 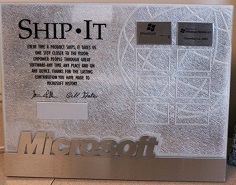 A "Ship it!" award is convergent. 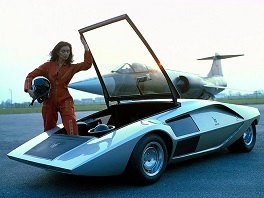 A concept car is divergent. Amy Hoy and Alex Hilman's book title "Just F*cking Ship" is convergent. Bob Dylan's "Tangled Up In Blue" is divergent. Wikipedia hosts the long-running battle between Inclusionists and Deletionists. In other words, Divergence versus Convergence. Map|Reduce... map is divergent, reduce is convergent. Scatter is divergent. Gather is convergent. Dreams are divergent. Goals are convergent. Santa Claus is divergent. The tooth fairy is convergent. Ward's Wiki is divergent. Getting Things Done is convergent. Sketching is divergent. Inking is convergent. Riggs is divergent. Murtaugh is convergent. Divergent people think they're too convergent. Convergent people think they're too divergent. Distraction is divergent. Focus is convergent. Tag clouds are divergent. Inbox Zero is convergent. "Ideas man" is a divergent title. "Man of action" is a convergent title. Yes, And... is beautifully divergent. A question mark is divergent. An exclamation point is convergent. Both are good. Neither is enough. May all your divergences converge. All articles: The complete archive.